Heartburn and acid reflux are common digestive disorders that affect people of all ages. 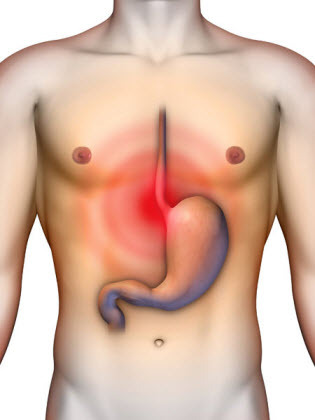 Although, occasional acid reflux is not a serious problem, but chronic heartburn can be a warning sign of Gastroesophageal reflux diseases (GERD), which is a chronic condition. Heartburn usually causes mild to severe chest pain accompanied by a burning or tightening sensation and it occurs after eating a spicy and oily meal. A small circular muscle that lies between the oesophagus and stomach acts as the closure of the oesophagus after food passes into the stomach. Improper closure of the muscle often leads to acid reflux, in with the acids of the stomach move backward into the oesophagus, causing a burning sensation in the chest. GERD is a chronic condition in which acid reflux occurs more than twice a week. Although, antacids and over the counter medication are available to treat these problems, it is best not to rely completely on medicines. You can try to prevent and treat acid reflux and heartburn naturally with the help of herbal remedies for acid reflux and acupressure. Acupressure is considered one of the best remedies for acid reflux and digestive disorders. No need to rely on antacids and acidity medicines anymore. Now, you can treat heartburn and acid reflux naturally with these effective acupressure points. CV12 or Conception Vessel 12 is an effective pressure point used in treatment for heartburn and acid reflux. 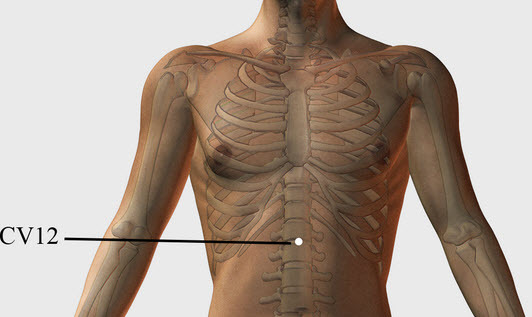 This point is also called the Central Venter, and it is located on the midline of the body, halfway between the base of the breastbone and belly button. Stimulating this point helps in relieving heartburn, indigestion, constipation, stomach pain and abdominal spasms. It is also useful for relieving emotional stress and worries which also cause digestive problems. It is best not to stimulate this point is a person suffers from heart diseases, high blood pressure or cancer. This point should not be stimulated for more than 2 minutes at a stretch, and it should be stimulated at an empty stomach. Lie on your stomach and place the palm of your right hand under the point, midway between the breastbone and belly button and breathe deeply for 1 to 2 minutes keeping your eyes closed. CV6 or Conception Vessel 6 is one of the best acupressure points for heartburn that is widely used to treat digestive problems such as constipation, abdominal pain, gas and bloating. This point is also named the Sea of Energy, and it is located two finger widths below the navel. It is also useful for improving women’s health by treating hernia, uterine bleeding, and irregular menstruation. In addition, it aids in relieving impotence, stroke, general weakness and muscle pain, asthma and lower back pain. This point should be stimulated in combination with CV12. Lie down on your stomach with the palm of your right hand under the points CV6 and CV 12. Continue to breathe deeply for 1 to 2 minutes keeping your eyes closed. B23 or Bladder 23 and B47 or Bladder 47 is a pair of acupressure points that are used to stop acid reflux and other digestive disorders. These points are known as the Sea of Vitality, and they are located on the lower back, 2 to 4 finger widths away from the spine, at waist level. Stimulating these points helps in relieving indigestion, abdominal pain, and stomach ache also. 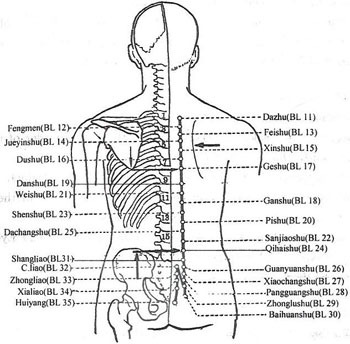 These are local points for relieving lower back pain and also aids in treating fatigue and impotence in men. In order to stimulate these points lie down on your back with your legs bent, and feet placed flat on the floor. Now, place your hands under your lower back on top of each other and relax your body down on your fists. Close your eyes and breathe deeply for 1 minute. St36 or Stomach 36 is one of the widely used acupressure points for indigestion treatment that helps in relieving all types of gastrointestinal discomfort, nausea, vomiting, heartburn, stomach ache, bloating, diarrhea, constipation, etc. 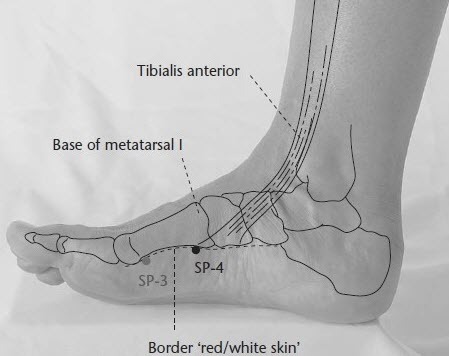 This point is also called the Three Mile Point, and it is situated four finger widths below the kneecap, one finger widths to the outside of the shin bone. It is also useful for boosting immunity and relieving general weakness, PMS symptoms, depression, insomnia, and nervousness. 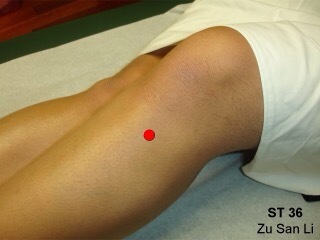 This point can be stimulated by briskly rubbing it using your fingers for 30 seconds to 1 minute on both legs. 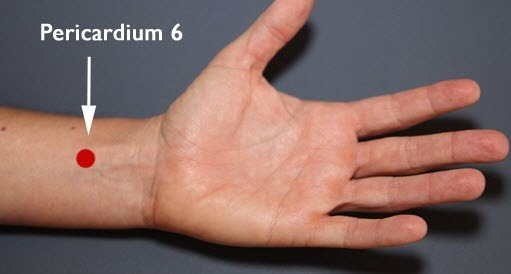 P6 or Pericardium 6 is one of the vital acupressure points for acid reflux and heartburn treatment. This is also called the Inner Gate, and it is located in the middle of the inner wrist, two and half finger widths below the wrist crease. Stimulating this point helps in relieving GERD, stomach ache, indigestion, upset stomach, nausea, and anxiety. It is a local point for wrist and arm pain which is also beneficial for treating motion sickness, headache, and carpal tunnel syndrome. This point can be stimulated by placing the left thumb on the inside of the wrist and applying firm pressure on it for 1 minute while breathing deeply and then switching sides and applying pressure on the other arm. Sp4 or Spleen 4 is another potent pressure point for treatment of acid reflux and heartburn. It is also called the Grandfather Grandson point, and it can be found on the arch of the foot, one thumb width from the ball of the foot, towards the heel. 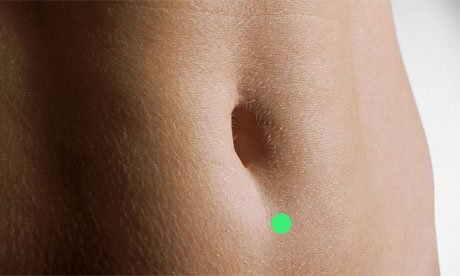 Activating this point helps in relieving GERD, abdominal pain, stomach ache, indigestion, and diarrhea. It also aids in treating gynecological issues like fibroids, cysts and irregular menstruation, chest and heart pain, anxiety, insomnia, and nervousness. This point can be stimulated by applying firm pressure on the point for 1 to 2 minutes using the thumb or fingertips while breathing deeply. The point G6 is located near the temple behind the hairline, 2 finger widths away from the tip of the ear. 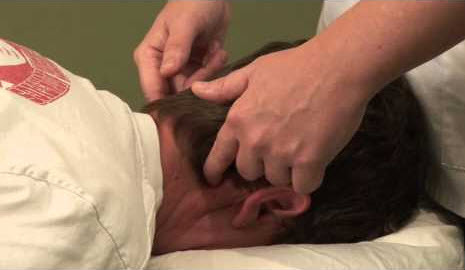 This is an extremely effective acupressure point for treating acid reflux and heartburn. It is also useful for relieving headache, cold and flu, toothache, nausea, fever, eye problems, and tremors. This point should be stimulated on both sides of the head by applying firm and steady pressure for 1 to 2 minutes using the fingertips and thumb. LV 3 or Liver 3 is a useful acupressure point for treating gastric acid reflux. It is also known as the Great Surge, and it is located on the foot, between the big toe and the second, at the depression where the two toes meet. This point helps in treating digestive disorders like diarrhea, acid reflux, constipation, nausea, vomiting, etc. It is also useful for treating eye problems, headache, dizziness, menstrual issues, chest pain, anxiety, irritability and insomnia. This point can be stimulated by applying firm and steady pressure on the point in both feet for 1 minute using the fingertips. So, now that you know the important acupressure points for relieving digestive problems of heartburn, acid reflux, and GERD, use them yourself and stimulate them in your loved ones for natural and lasting relief from these problems.